Scappoose High girls basketball coach Sarah Mann, in her first season leading the program, has put out an all-points bulletin. She's on the lookout for more leadership, better ball control and added consistency. Those have been among the missing ingredients early in the season, including in the Indians' Dec. 7 home loss to Astoria. "This is not how we prepared to play," Mann said after Scappoose fell 52-32 to the visiting Fishermen. "We failed to execute. We were lacking leadership. We were lacking in poise. And we turned the ball over." Scappoose also lost on Tuesday, 49-17 at Banks (4-0 and ranked second in Class 4A). "Back to the drawing board," Mann said. Next for the Indians (0-3) is a 5:30 p.m. Friday home game against Seaside. Scappoose then will play three times in three days in a tournament at North Marion, starting with Tillamook on Dec. 20. Those games will be a chance for the Indians to demonstrate some progress. "We've got leadership. We just need to show that consistently," Mann said. Mann also hopes the Indians, who began the season with a 45-31 loss at Valley Catholic, can show more depth in each game. "I'd like to go 10 or 12 players deep and take some pressure off our top seven. We're getting there," she said. For starters, "we've just got to find a unit that is willing to execute." Mann has been coaching in the program for five-plus years. So she's had basically everyone on this year's varsity under her tutelage on their way up. But "we've changed things significantly" this season, she said. "Defensively, we've got a lot more looks in the half-court and full-court. And we're trying to break some bad habits. We've just got to rise up, get in the gym and work to get better." Mann grew up in Southern California and played college basketball in San Diego. She's been in Oregon for nearly 20 years. "I absolutely love this game. It's my favorite sport," she says. "I love to teach it. We've got a lot of young talent coming up in the program. We've just got to take advantage of the leadership and the veterans we have, and they've got to produce the minutes for us." Seniors Sarah Mills, Sierra Stafford, Payton Fisher, Lillie Ramsey and Charlotte Martin will help lead the way this season. Gaby Dague, Allison Wills, Emily Kopra and Maddie Templin are on board from the junior class. Kopra (6-0) is the only player listed above 5-10. "We don't have a lot of size," Mann admitted, "but we've got great athleticism, great speed, veteran players and girls who have been in the program for a while." Fisher stood out against Astoria, the coach said. "Payton played a heck of a game, brought great leadership, created plays and took care of the basketball. She executed things offensively and defensively. But we need all five people doing that," Mann said. Banks and Astoria were back-to-back formidable foes. Astoria led 47-23 through three quarters. Ramsey scored five of her team-high nine points in the fourth quarter. 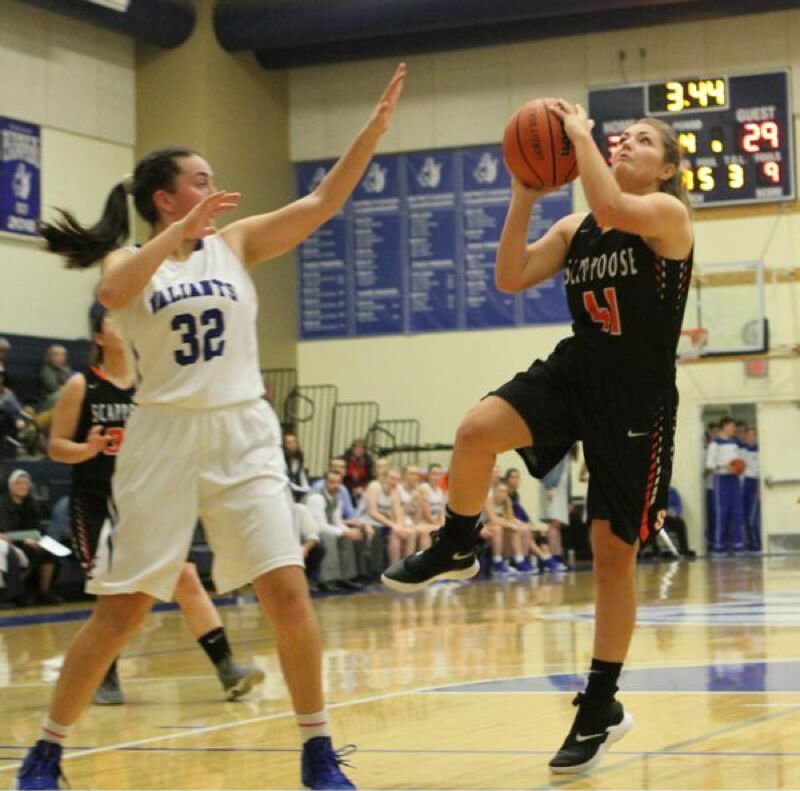 Dague led the Indians in scoring through three quarters with all eight of her points. "We knew what we were coming into," Mann said. "Astoria is well-coached, they've got height, they've got athleticism, they've got young guards who shoot the ball well, and they handle the ball well. "But we simply did not execute our defensive game plan against them. I think the most frustrating thing was the lack of being able to build a fire in the girls in that game. From a coach's perspective, that shouldn't always be the responsibility of the coaching staff. Somebody's got to step up and light that fire." The next few weeks — games at Cascade on Dec. 28 and Jan. 4 at Molalla included — will give the Indians a chance to polish their performance before they embark on their first season of competition in the Class 5A Northwest Oregon Conference. "That's the good news, right?" Mann said. "We've got to work all this out now. Better we're having this conversation now instead of in the middle of January, when we're trying to battle for a playoff position."